In the DJR boutique, bread is not just another product. Bread here means know-how, craftsmanship, tradition. 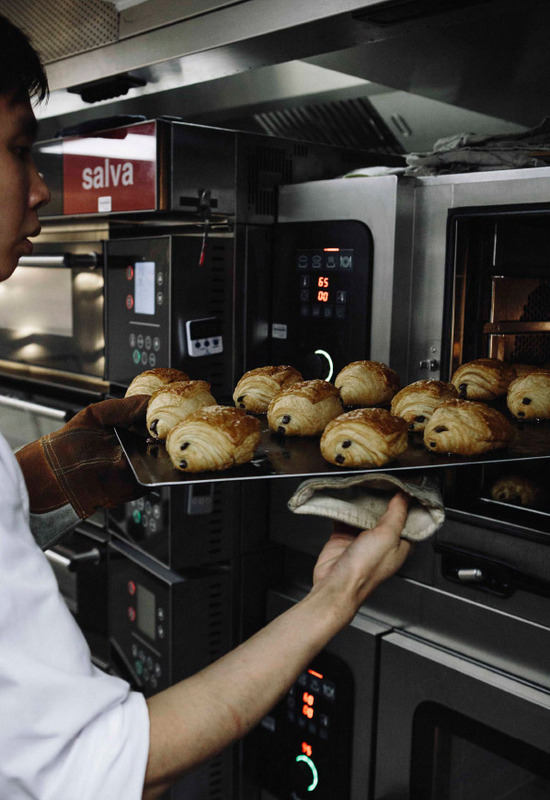 Bakers Masahiro, Takuma and Louis are in front of the ovens at 4am, making everything from classic baguettes to specialty loaves like fig or gorgonzola bread, Viennoiserie pastries and savory Japanese snacks. The bakery churns out fresh baguettes three to four times a day. There is a palpable reverence for the science and art of bread making, here. First comes the kneading process, in which the dough is stretched into a translucent membrane. The dough is then left to ferment and rise, with yeast also used for the preferment. Once it has cooled, the dough is finally ready to be divided. Specialty breads are divided into 400-gram loaves, following the “bâtard” tradition. The loaves are then shaped and scored with a blade. 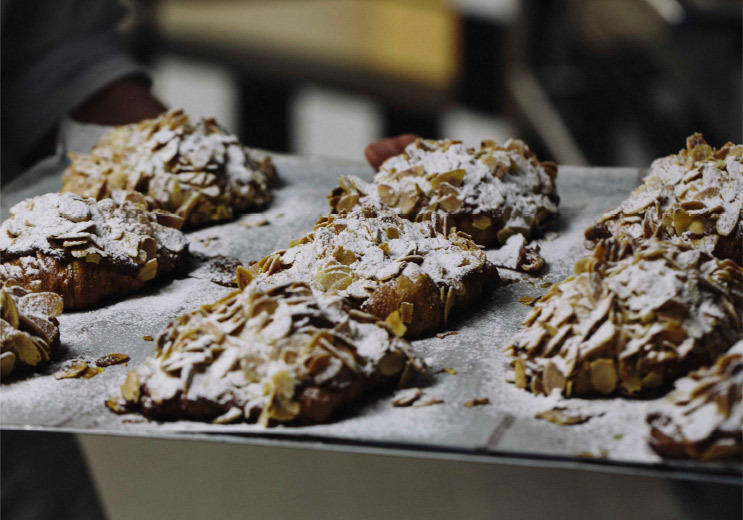 These slashes, also known as “grignes,” are the baker’s personal signature. 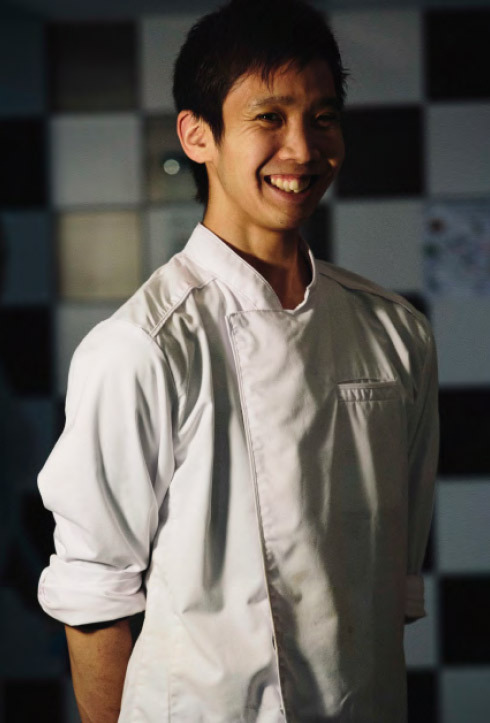 Here, too, you will find pieces of Japan: the head baker has brought back from his travels recipes for fluffy loaves and curry meat buns. Get ready for an explosion of flavors. Sortie du four des pains au chocolat. 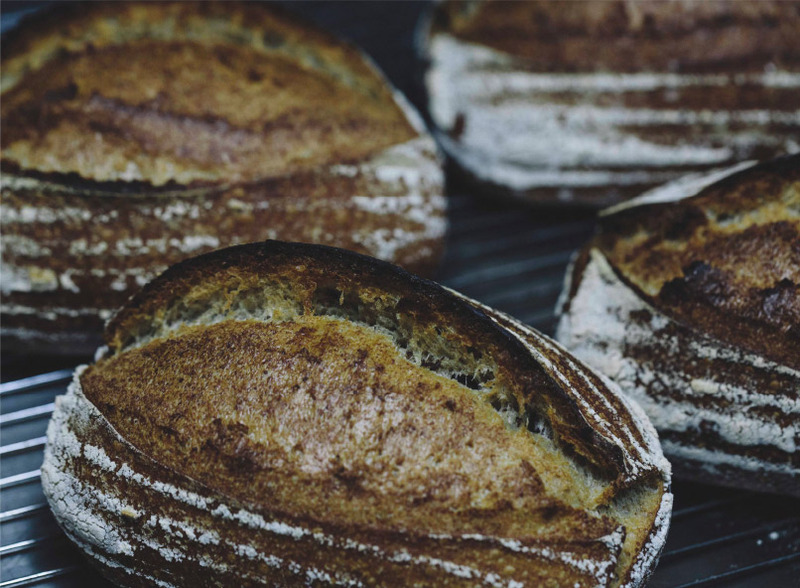 The traditional farmhouse loaves are dusted with flour to prevent sticking and to add a rustic touch. Ingredients here are not an afterthought, and flour — provided by established flour mill Minoteries Viron — contains no additives. All candied fruits are carefully selected and the walnuts boast the AOP label - a European certification which guarantees quality and recognizes that an ingredient is part of the country’s gastronomic heritage. The butter, eggs and milk come from “L’or des prés,” a high-end supplier of dairy products. When it comes to bread and croissants, the French are known to get quite emotional. For many people, a farmhouse loaf will unlock memories of childhood. “Each customer will have their own emotional response,” say the bakers.